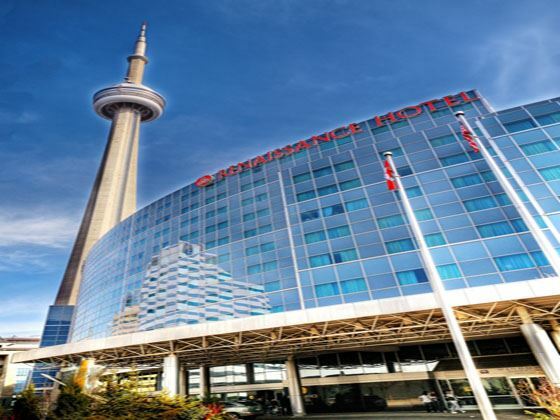 Situated in Toronto's famous Entertainment District, Toronto Marriott City Centre Hotel is built into the Rogers Centre baseball stadium with fantastic stadium views. 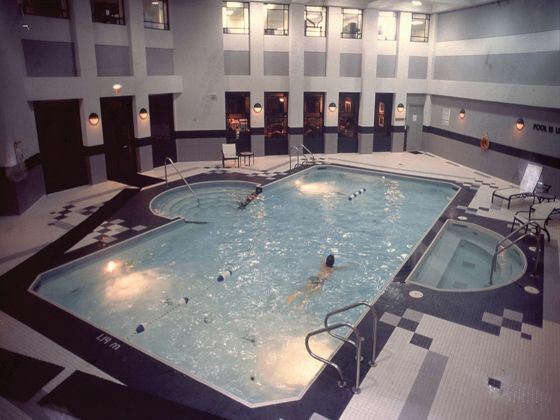 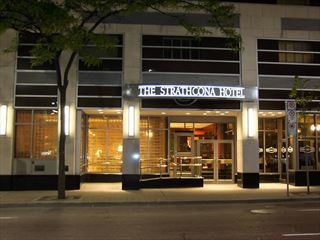 The convenient downtown locations allows easy access to Toronto’s main attractions including Molson Amphitheatre, the Metro Toronto Convention Centre, the CN Tower, Ripley's Aquarium of Canada and is a short walk from Union Station and tram stops providing quick access to the rest of the city. 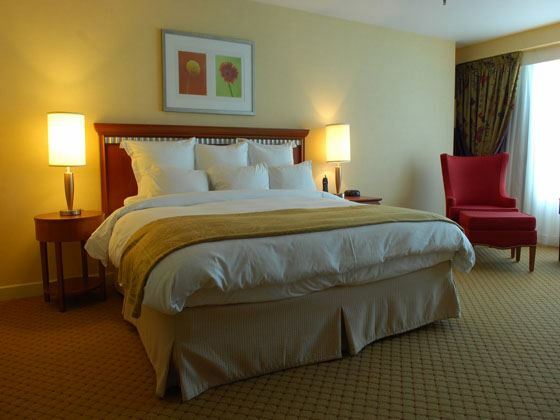 Contemporary and spacious, the 348 guestrooms and suites feature trendy interiors, plush furnishings and spa-inspired bathrooms and amenities. 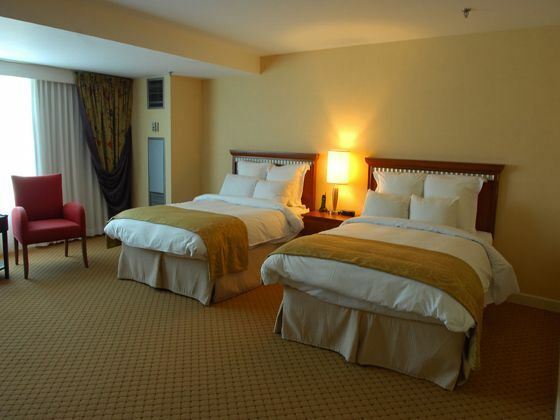 Some of the rooms feature fantastic stadium views, whilst others have views of the city. 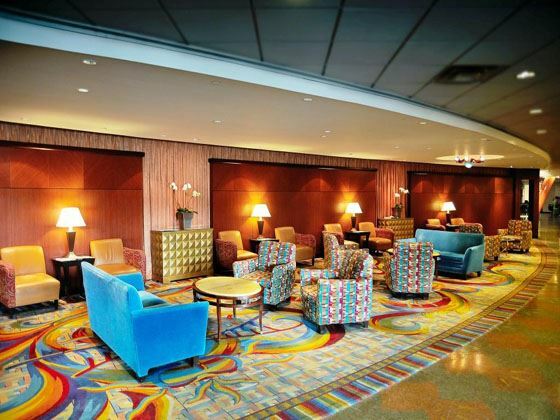 Dine at the Arabia Lounge and Sportsnet Grill with delicious cuisine, vibrant atmosphere and excellent stadium views, there is also a Starbucks café, perfect for a quick bite. 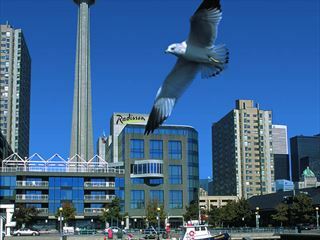 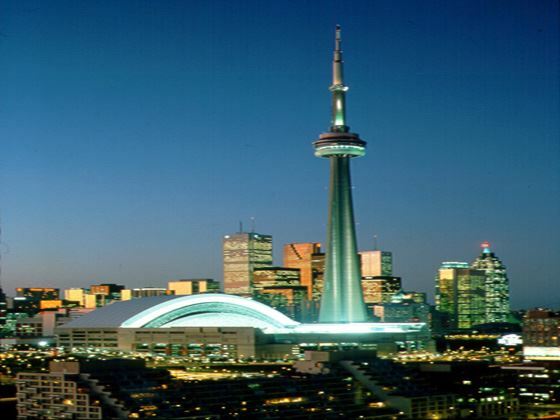 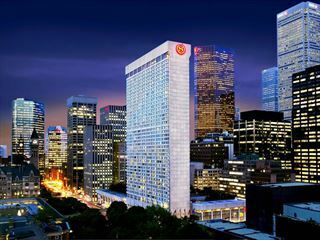 Located in the Entertainment District, Toronto Marriot City Centre Hotel is built into the Rogers Centre baseball stadium and is a short walk from Union Station, the CN Tower and Ripley's Aquarium of Canada. 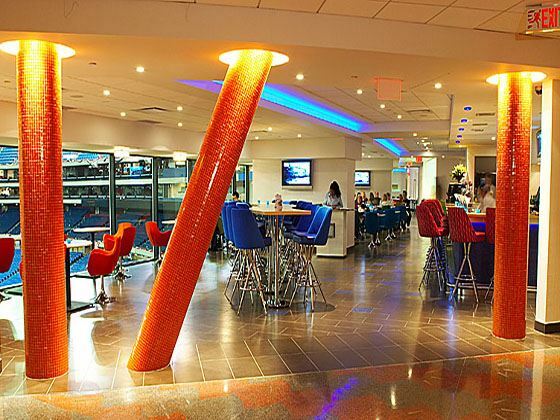 Arriba Lounge - Casual lounge with tasty food, innovative drinks and fantastic Rogers Centre views, open for breakfast, lunch and dinner; perfect for a meal with friends whilst watching a game or for pre-game drinks.